The menu for our Q&A Dinner at the Cooking and Hospitality Institute is Italian cuisine; the recipes were developed by myself and the Chefs at the Cooking and Hospitality Institute. I am developing a cookbook with some dinner recipes and tips for cooking, dining and shopping with food allergies to give to all attendees at the event in a deluxe goodie bag. To learn more or get tickets for this event, click here. Now onto a recipe! 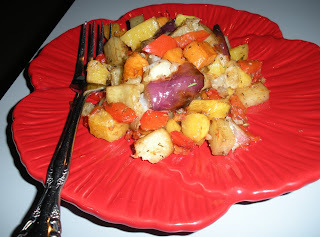 I love these roasted vegetables, they are flavorful and diverse in color and variety. The work is in the cutting, it is best to make sure the pieces are similar in size so they will cook evenly. Cut the onion and pepper a little larger, as they will cook quicker that the squash and potatoes. Enjoy! Dr. Martha Howard and Patricia Lavcan join the March 7th Q&A Dinner Panel – Tickets going quick. As part of our March 7th Allergen-Free Q&A Dinner at the Cooking and Hospitality Institute of Chicago, we're delighted to welcome Dr. Martha Howard and Patricia Lavcan, who will be sharing their insight and knowledge of living with food allergies. A graduate of Loyola University's Stritch School of Medicine, Dr. Howard's practice, Wellness Associates of Chicago, specializes in the treatment of chronic illnesses that can be associated with underlying allergies. Founded in 1990, Wellness Associates of Chicago was one of the city's first centers of Integrative Medicine, combining traditional Family Practice with both eastern and western styles of medicine. 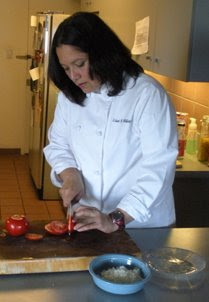 As a long-time Nutritionist and Registered Dietitian, Pat brings a unique level of knowledge and experience to the dining table. 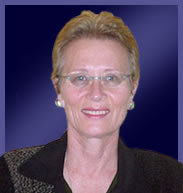 In addition to her 8-years with the Cooking and Hospitality Institute of Chicago, Pat has also been affiliated with Loyola University, the Illinois Institute of Art, and the American Dietetic Association. 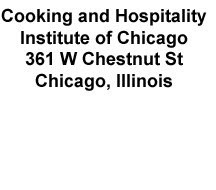 Premier Q&A Dinner at the Cooking and Hospitality Institute of Chicago March 7th! - Finally a safe & sound night out for allergy sufferers! We just finalized the date and times for our first Q&A Dinner, come and bring your questions about your food allergies, we are going to have nutritionists, allergist and chefs available for this unique panel. The dinner will be prepared free of the 8 major allergens plus gluten for people with manageable food allergies and includes a gift bag, valued at over $50. Space is limited so make your reservations now. The Q&A Dinner series will be a monthly event, so keep checking back for new dates or if you sign-up for the Q&A membership, you will get first notice of all new events. To attend any Q&A Dinners you must be a member, it is a fast and easy process and there is NO COST to join. Click on image below to register. 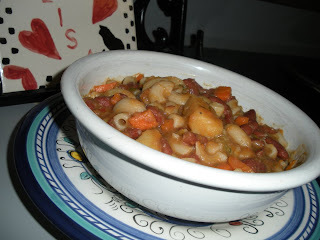 Lisa Cooks Minestrone Soup – It’s Cold! 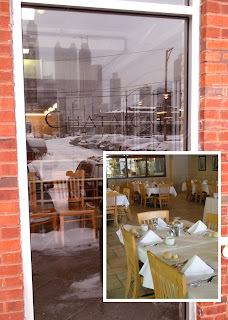 It is 19° F in Chicago and very windy, a great day to bundle up and enjoy a nice hearty soup. How about some Minestrone? It is such a healthy soup and can be easily made vegetarian by replacing the beef stock with vegetable stock. You can use whatever pasta works with your families allergies; I used a potato pasta in this batch. Enjoy! Soak kidney beans overnight and strain. Place beans, beef broth and water in large kettle; cook 4 hours. In a separate pan, sauté onion, garlic, carrots, celery and potatoes in extra-virgin olive oil on medium-high heat until tender. Add vegetables to beans; cover kettle and cook slowly for 30 minutes, stirring often. Cook pasta according to packaging instruction. Add macaroni, Kosher salt, ground black pepper and tomatoes. Simmer 15 minutes. Add more beef broth if you like your soup thinner. When I first was diagnosed with food allergies, I knew I couldn’t eat gluten, but what did that really mean? Well, it means a lot more than just gluten when it came to reading food labels, that’s for sure. Below, I gathered a list of other ingredients or products that could possibly contain wheat or gluten. If you see these, you are going to have to dig a little more, call or email the manufacturer, you may have to be persistent, they aren’t always in a hurry to reply. In future posts, I will tackle other allergens and hidden ingredients to look for. If you have some to add to this list, send me a comment and I will add them, we all learn together. This list comes from several sources, I got some from my doctor, Dr. H. Martha Howard (http://www.wellnessofchicago.com/) and also some from the http://www.gfcfdiet.com/. On to something to eat, enjoy! 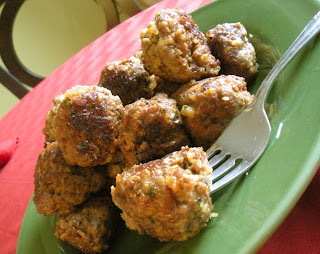 Add these meatballs to your next rice pasta dish or just eat them alone, great for kids to snack on. Mix all ingredients except bacon drippings and beef broth. Pre-heat sauté pan over medium-high heat and add bacon drippings. Brown meatballs in pan and add beef broth, add cover. Reduce heat to low and simmer 45 minutes or until meat is cooked. If you want gravy, remove meatballs and slowly add rice flour to mixture. I got a question from the Boyle family with a severe nut allergy since 7/08 regarding where to find all purpose flour when avoiding nuts, dairy, flour or wheat and eggs. I sent out requests from several flour manufacturing companies and am waiting to hear back from most of them, but thought I would share with you what I found out from Bob’s Red Mill. I am just going to copy the email sent to me from Bob’s Red Mill Customer Service. “We are mindful of the concerns of the allergen-sensitive community and we utilize ‘Good Manufacturing Practices’ to diminish any risk of allergen cross-contact. We segregate our ingredients and thoroughly clean our equipment between production runs with high powered air pressure. Also, the first 30 lbs of product run on any line is purged and not packaged. It is Bob's Red Mill's policy and practice to apply elective allergen advisory statements to all Bob's Red Mill product labels. Any labels seen without an allergy advisory statement were produced prior to our recent implementation of this practice. Our labels will be replaced with the newer version as soon as existing stock runs out. Ok, so that is one, but I still want to find one completely free of tree nuts, I will keep you posted as I get information back from the manufacturers. Until then, you can also do some digging; I listed some allergen-free flour manufacturers and what I know about them based on packaging. I also included manufacturers that make rice flours and other types, so you can mix your own blend of all-purpose flour. BEWARE: Manufacturers are changing their packaging and manufacturing practices all the time, it is important you read the label every time before buying. This will give you a good start, I will keep looking and get back to you as I hear back, I know how important it is to find the right product for your family. Feel free to send me an questions you have, I will start digging, we can all learn together. This recipe I learned in school and modified it to be safe allergen free. It came out wonderfully and now is one of our families favorites, enjoy! Take chicken breasts and put in large plastic bag. Pound breasts until they're all at equal thicknesses. Pre-heat sauté pan to medium and add extra virgin olive oil. Dip chicken in mixture of flour and salt and coat on both sides, shake excess flour mix off chicken. Sauté chicken breasts, about 4 minutes on each side, remove from pan. Add a little more extra virgin olive oil and onions and mushrooms, cook until slightly browned. Add wine and chicken stock and scrape crumbles from bottom of pan. 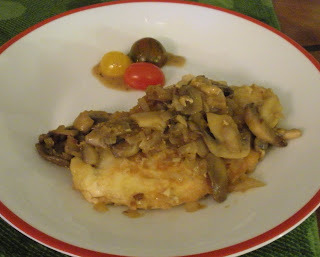 Reduce liquid down and add back in chicken breasts to reheat.